Here are some wines that I’m looking forward to picking up this week. Happy Shopping! I’m a huge fan of white Burgundy and to find one for under $20 is amazing! Montagny is located subregion of Côte Chalonnaise in the southern end of the region. Look for notes of citrus and apple with a hint of spice. Pair with chicken, fish or white pizza. Let’s break this down…the grape here is Melon de Bourgogne and “sur lie” means that wine is aged on its lees (sediment) to give the wine some yeast characteristics and complexity. Don’t be afraid if it has a little bit of spritz too. Pair with Oysters, crab or shrimp or with Asian cuisine. I’m a huge fan of Pinot Gris/Grigio but ones that have great fruit, complexity and depth. This one has all three all put together in a funky bottle with a neon green top. With the warmer springs temps that have finally seemed to arrive in Ontario, you’ll find me on my back patio with a glass of this wine in my hand. Back by popular demand and in time for Easter weekend. Happy Shopping! A lively Pinot Gris from the Okanagan Valley that would pair nicely with ham, turkey or chicken dishes. The perfect wine to keep in your fridge and enjoy after a busy day at work! Also a must try for Pinot Grigio lovers. Pair with chicken mango salad or a pizza. This is Chardonnay is the perfect balance of oak and fruit! Enjoy with panko-crusted salmon. Port is amazing but there are some many to choose from and which one is best? To assist with your last minute shopping, I’ve created a quick guide on some 2011 Vintage Ports that I recently tasted to help you make the right decision. All Ports are available in the LCBO/Vintages. Then the 2011 Sandeman Ruby is for you! Priced at $70.00, this Port is value driven while still delivering that full bodied, black fruit style. This Port can age for 20 – 30 yrs and some consider this house a “1st Growth” in the family Port. Great value! Last week I had the opportunity to taste some amazing sparkling, white, roses and red wines from this fabulous region. Here are some of the highlights. Starting with the very refreshing Pinot Nero Brut, I then tasted the 2010 Blau Pinot Nero which is aged one year in barrel and one year in bottle before being released. Next up was the tart and tasty Poggio Anna Barbera (90% Barbera, 10% Croatina), Finally, my favorite which was the Buttafuoco La Guasca (60% Croatina, 30% Barbera, 10% Ughetta di Canneto), just lovely tannins here reminding me very much of a Barbaresco! This is a blend of Cabernet Sauvignon and Shiraz bursting with ripe, black Napa fruit that will be sure to impress! Wine geeks love Riesling and this one from the Rheingau is exceptional. A dry Prosecco that pairs well with oysters or stone crab or just as delicious on its own. This easy to drink now Cabernet will impress your friends and introduce them to the great wines of Washington State! Lots of great wines this week and I was able to taste all of my recommendations, so, get your Vintages Catalogue and let’s start shopping! All of my picks are from the LCBO Vintages magazine for the release date of Saturday, March 31. If you have a magazine already, feel free to make notes, just like I do. Unfortunately this month I did not have the opportunity to taste all the wines I’m going to recommend to you today, however, some of the wines I have tasted in the restaurants where I work and with others I have had previous vintages and can give you my Sommelier guarantee that this vintage will be equally as delicious. 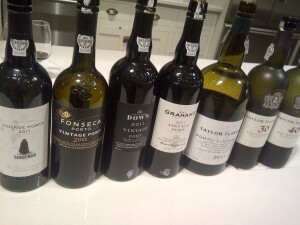 All of my picks are from the LCBO Vintages magazine for the release date of Saturday, March 17. If you have a magazine already, feel free to make notes, just like I do.